Desmond T. Doss Christian Academy starts its annual Ski trips on January 15 at Wintergreen Ski Resort. Over the past 15 years, the school has taken some 400 students skiing. It is a great opportunity for our students to be exposed to an activity they may never have tried had it not been for this program. 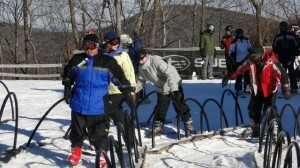 Of the 400 plus students who have participated in this program, 99% have either learned how to ski or snowboard.